The recent announcement that British Prime Minister Theresa May will trigger Article 50 on March 29, starting official negotiations between the UK and the European Union, makes the Brexit more and more imminent. 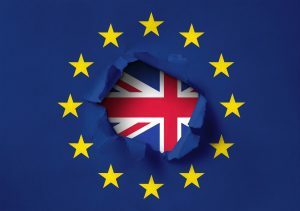 InnovationQuarter and Rotterdam Partners are therefore organising the seminar ‘Brexit: how does it affect your business?’ on Thursday, April 20 at the Cambridge Innovation Center (CIC) in Rotterdam. Networking after the event will take place at Venture Café Rotterdam’s weekly gathering. The seminiar will be on Thursday, April 20 from 15.00 – 17.30 hrs. Attendance is free of charge. Look here for more information on the programme. Places at the event are limited so to confirm your attendance, please register today.